Question: What’s the best part about your job? Answer: As both a lawyer and a small-business owner, I enjoy working with entrepreneurs and small-business owners as they navigate both legal and business hurdles associated with growing their business. As a business attorney with both business and legal experience, I consider myself more of a business adviser than just an attorney — that is truly the best part of my job. Q: What motivates you to be active in your community or profession? A: Growing up in a small town, everyone helped where they could — church dinners, picking up trash in the park and working the concession stand at high school sporting events was part of life, and that mentality has become an integral part of who I am. Sioux Falls has a wonderful history of leaders who have impacted the community in amazing ways with their time, talents and treasures, and I only hope that one hundred years from now, someone can look back and say that I, too, had a positive impact on the city of Sioux Falls. Q: What advice would you give to young lawyers entering the profession? A: The practice of law is challenging, yet rewarding. There is a reason they call it “practicing” law. Don’t get discouraged in the first few years. Everyone has been frustrated and felt incompetent to practice law at one point or another. Stick with it. Trust me, it will get better. Q: You serve on the board for The Co-op Natural Foods. Why did you take on a leadership role in that organization? A: With each passing year, health and nutrition has become a more integral part of my life, and society as a whole is becoming more health-conscious and aware of the consequences associated with an unhealthy lifestyle. As a 40-year-old, member-owned cooperative with more than 3,000 members, The Co-op Natural Foods values and respects the importance of access to sustainable, healthy and fairly traded goods and services and intimately understands how food cooperatives nationwide can support and strengthen local economies, allowing their members and the community to enjoy a higher quality of life. The fire was a devastating blow to The Co-op Natural Foods and the greater food-cooperative community, but the member and community support shown over the past few months has reignited a passion in the area for a strong cooperative food movement, and I am very excited about the future of the co-op in Sioux Falls. The future is bright, and I am honored to be a part of the board, serving as its president. A: I like to stay as active as possible. I have been involved with Farrell’s eXtreme Body Shaping for the past two years, which has changed my life. Yes, I actually get pleasure from working out! In addition to attending class regularly, I instruct one or two resistance classes a week, which is fun, and I like to swim as much as possible. I recently signed up for my second Tough Mudder challenge in Minnesota in July, and I will begin training as soon as the snow slows down. When I moved to Sioux Falls after law school, I purchased a 1915 craftsman home in the McKennan park area and have thoroughly enjoyed working on my house and scheming and planning my next remodeling project over a bottle of wine or two with my neighbors. Never a dull moment! Q: What do you like about living in Sioux Falls? A: I love the vibrant energy that comes with the growth and expansion of the city. 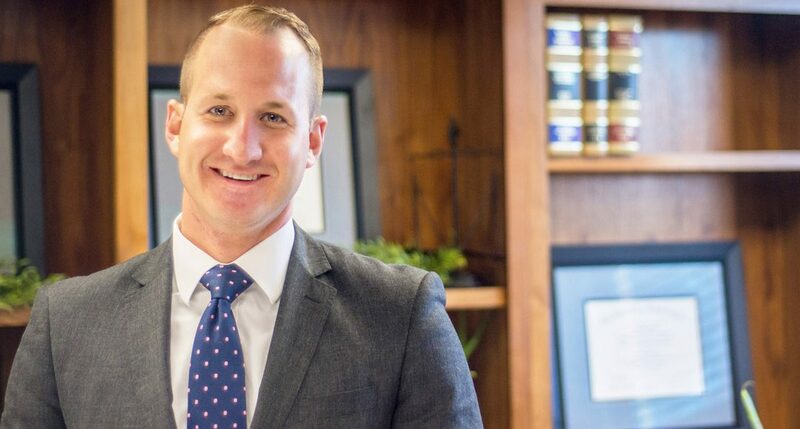 There is always a new businesses coming to town, which makes living in Sioux Falls fun and exciting, especially for a business attorney who loves following the latest trends in economic development and growth of the city. Total nerd, I know. Q: What can Sioux Falls do to attract more young professionals? A: I can’t speak for every young professional, but I appreciate and respect the culture and diversity that comes with larger cities. As Sioux Falls continues to grow, I hope the city works to embrace the culture and diversity that comes with new perspectives and new ideas. It’s fun to imagine what downtown Sioux Falls will look like in five or 10 years, based on the trajectory of the city today. I think many young professionals currently living in the city desperately want the downtown scene to continue to thrive and grow, creating new art, entertainment and living opportunities. After all, young professionals (or anyone else for that matter) certainly aren’t moving here for the weather. The online version of the Argus Leader can be viewed by clicking here.